Società Editrice Dante Alighieri, Roma 2014, pp. 236, 13 euro. 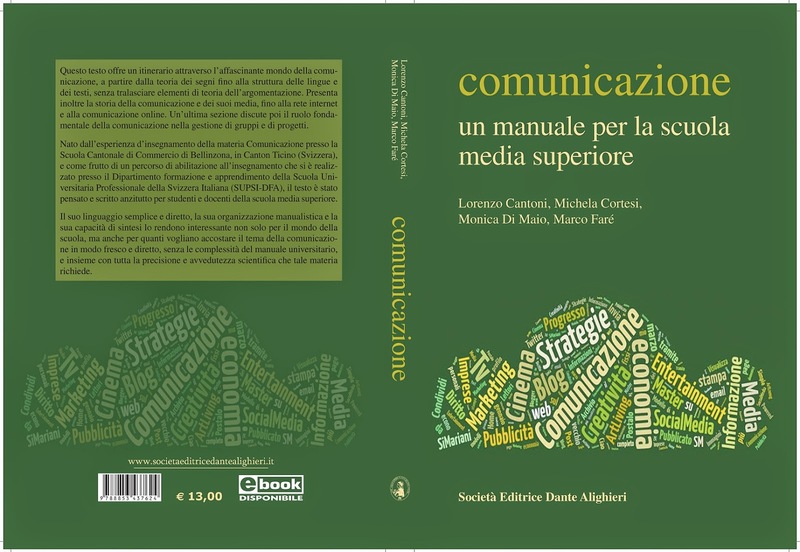 Disponibile su Amazon.it e sul sito dell’editore. Faré, M., Tardini, S. (2014). User Requirements con LEGO Serious Play. In Inversini A., Cantoni L. Nuovi media nella comunicazione turistica. Dante Alighieri, pp. 159-165. Faré M. (2013). Hacking. In Encyclopedia of Media and Communication, ed. Marcel Danesi, 332-333. Toronto: University of Toronto Press. Faré M. (2013). Piracy. In Encyclopedia of Media and Communication, ed. Marcel Danesi, 518-519. Toronto: University of Toronto Press. Faré M. (2007). Il blog nell’eLearning. In Cantoni L., Botturi L., Succi C. E-learning. Capire, progettare, comunicare. FrancoAngeli, Milano, pp. 143-144. Faré M. (2007). Imparare nell’era di Google. In Cantoni L., Botturi L., Succi C. E-learning. Capire, progettare, comunicare. FrancoAngeli, Milano, pp. 124-128. Faré M. (2007). Book Review: David Weinberger. Everything is miscellaneous. «Studies in Communication Sciences», 7/2 (2007), pp. 273-275. Cantoni L., Faré M., Tardini S. (2006). A Communicative Approach to Web Communication: the Pragmatic Behavior of Internet Search Engines. «QWERTY», 1 (1), pp. 49-62. Faré M. (2006). Book Review: Giuseppe Granieri. Blog Generation. Roma, 2005: Laterza. «Studies in Communication Sciences», 6/1 (2006), pp. 206-209. Cantoni L., Faré M., Inversini A., Passini V. (2011). Hotel Websites and Booking Engines: A Challenging Relationship. in Rob Law, Matthias Fuchs & Francesco Ricci (eds. ), Information and Communication Technologies in Tourism 2011 (Proceedings of the International Conference in Innsbruck, Austria, January 26-28, 2011), Springer, Wien ¿ New York 2011, pp. 241-252. Cantoni L., Marchiori E., Faré M., Botturi L., Bolchini D. (2009). A systematic methodology to use LEGO bricks in web communication design . In Proceedings of the 27th ACM international Conference on Design of Communication (Bloomington, Indiana, USA, October 05 – 07, 2009). SIGDOC ’09. ACM, New York, NY, 187-192. .
Cantoni L., Botturi L., Faré M., Bolchini D. (2009). Playful Holistic Support to HCI Requirements using LEGO Bricks. In M. Kurosu (ed. ), Human Centered Design, HCII 2009, LNCS 5619, Springer-Verlag, Berlin Heidelberg, pp. 844¿853. Cantoni L., Faré M., Bolchini D., Inversini A., Giulieri F. (2007). European Cities and Web Tourism Communication, An Indicators-based Pilot Study. Proceedings of the Travel Distribution Summit, Europe, Research Conference, Axon Imprint, London, pp. 45-54. Faré M. (2007-2011). Azione: Mondoinrete. Azione – settimanale di Migros Ticino. Segue elenco completo. Faré M. (2008). GdP: Internet e valli. Giornale del Popolo. Segue elenco completo. Faré M. (2008-2009). 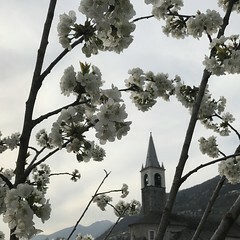 ticinosette. Segue elenco completo. Faré M. (2010). Corriere del Ticino. Segue elenco completo. 18.04.2011 – Dove si compra la fotosintesi?